Clean examples of 996s are finally beginning to capture some attention. The styling hasn’t aged as poorly as some predicted, and uncommon higher-spec variants like the GT3 are sought after. 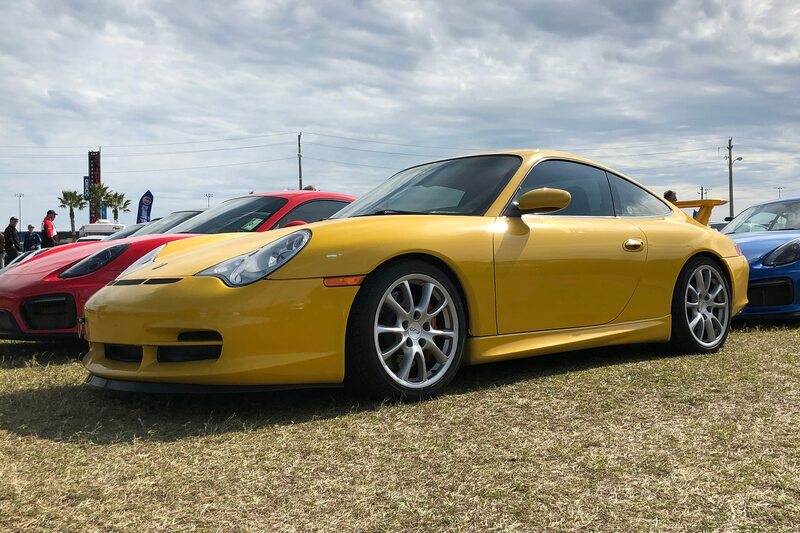 This yellow GT3 was in excellent condition, and remains one of the better driving modern 911s that can be had for less than six figures. 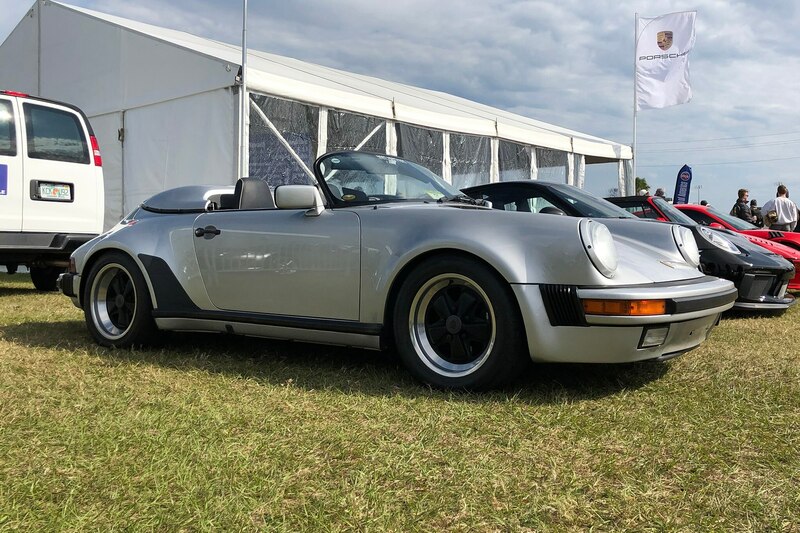 Before the value of these rare Speedsters skyrocketed, they were a relatively low cost way to step into a special-edition aircooled 911. They only made 2,104 of these cars, so it’s nice to see one out and about. 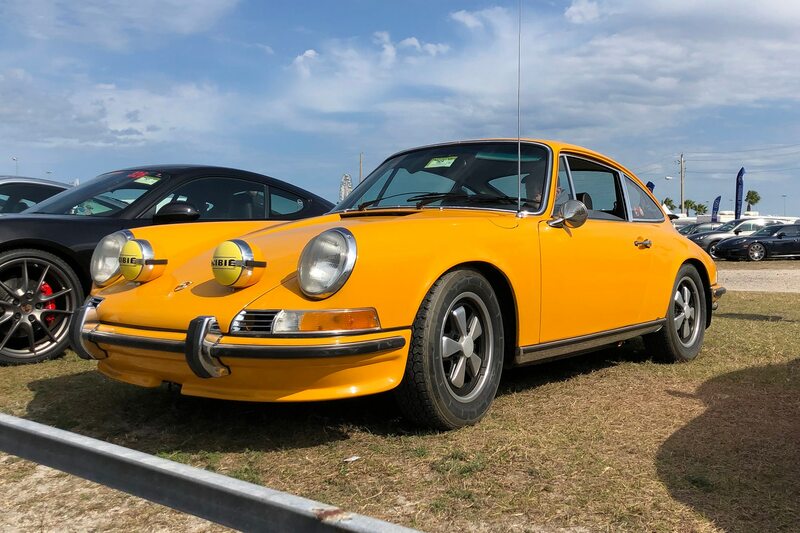 Nothing too deep to report here—just a nice, clean example of an early 911 that show why the model is so popular. Talk about desirable. 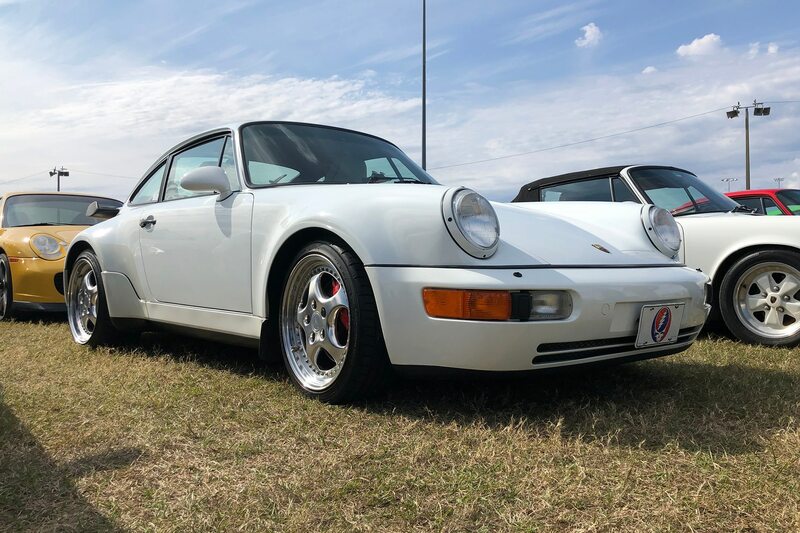 This is one of roughly 1,500 3.6 Turbos ever made, an evolution of the 964 Turbo 3.3 that had a carry-over engine from the older 930. The upgraded 3.6-liter turbocharged flat-six put out an impressive 355 horsepower and 384 lb-ft of torque, enough to scoot the 3.6 to 60 mph in the low four-second range. 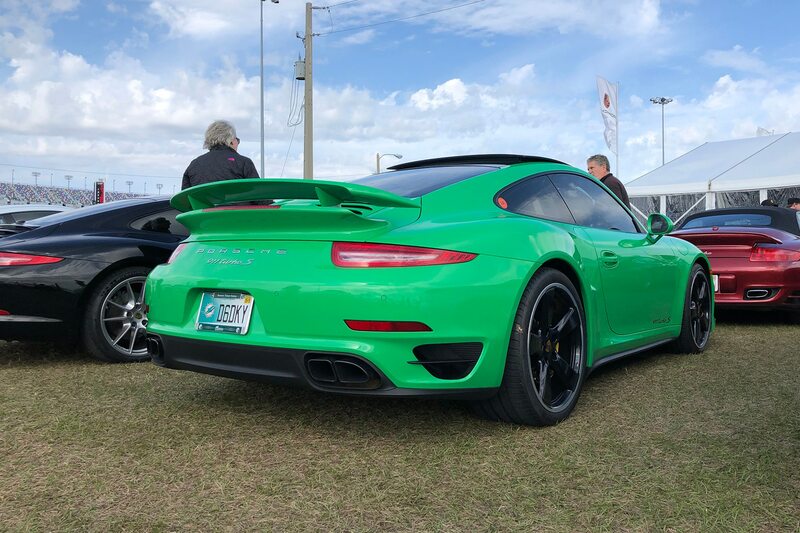 For a 911 Turbo of a different ilk, check out this bright green 991 Turbo S. While there isn’t anything particularly noteworthy about a 991 Turbo S (at least not while they’re so new), this car’s paint-to-sample (PTS) hue and Porsche Exclusive wheels present an interesting package. This list is a little 911 heavy because, well, the PCA corral was a little 911 heavy. 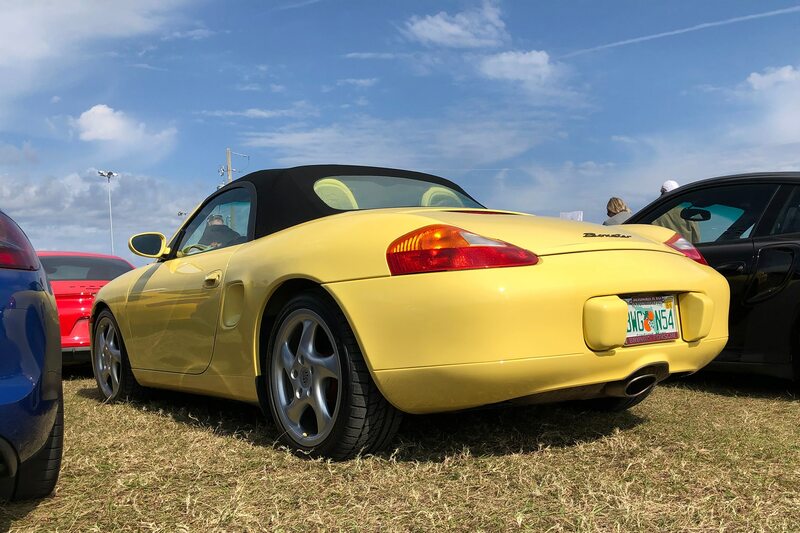 This yellow first-gen Boxster stood out for its clean condition. With the cars’ styling having been derided for so long, we think future auction results for clean, well-kept examples like this one will surprise the haters. They’re cool little cars that don’t get the respect they deserve.